Solid colors: 100% Cotton; Heather Grey: 90% Cotton, 10% Polyester; All Other Heathers: 65% Cotton, 35% Polyester. WARNING!!! - When buying please be sure to choose our store "Ships from and sold by KEYVIC LLC" when you add to cart. We recommend you not to purchase the low-quality items from other sources because they are not authorized by KEYVIC LLC. Other sellers are Counterfeiting! 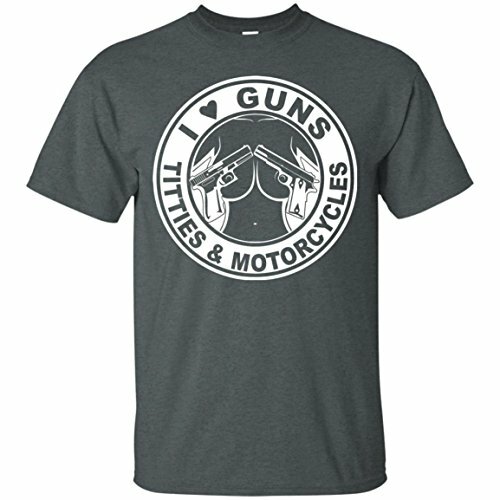 I Love Guns Shirt, Motorcycles Shirt. If you have any questions about this product by KeyVic, contact us by completing and submitting the form below. If you are looking for a specif part number, please include it with your message.